"Brian Tracy is the master in understanding and teaching self-enrichment. In this priceless book, he unlocks the key to your door of success and fulfillment—belief in your own potential. Internalize his wisdom and you will surely realize your goals." "Brian continues to impact the lives of everyone he touches. This book provides a logical road map that everyone can use to maximize their true potential." "When Brian Tracy writes a new book, I drop everything and start reading. We all need sharp lessons on developing more self-confidence and pursuing challenging goals. This book will make a significant difference in your life." "The one quality that makes all the success principles work is unshakable confidence in yourself. 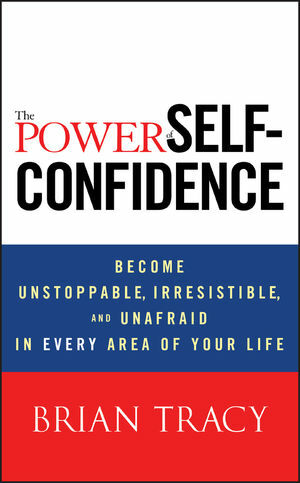 Brian now shows you how to grow your confidence to the point where you become unstoppable." "Lacking confidence erodes your self-worth and paralyzes your productivity. In this book, Brian Tracy shares the secrets to developing and maintaining high levels of self-confidence—so that you can live the greatest life!" BRIAN TRACY is the Chairman and CEO of Brian Tracy International, a company specializing in the training and development of individuals and organizations. Before founding his company, he served as the chief operating officer of a $265 million development company. Brian has consulted for more than 1,000 companies and addressed more than 5 million people in 5,000 talks and seminars throughout the United States and more than sixty countries worldwide. He is the bestselling author of fifty-five books that have been translated into thirty-eight languages.